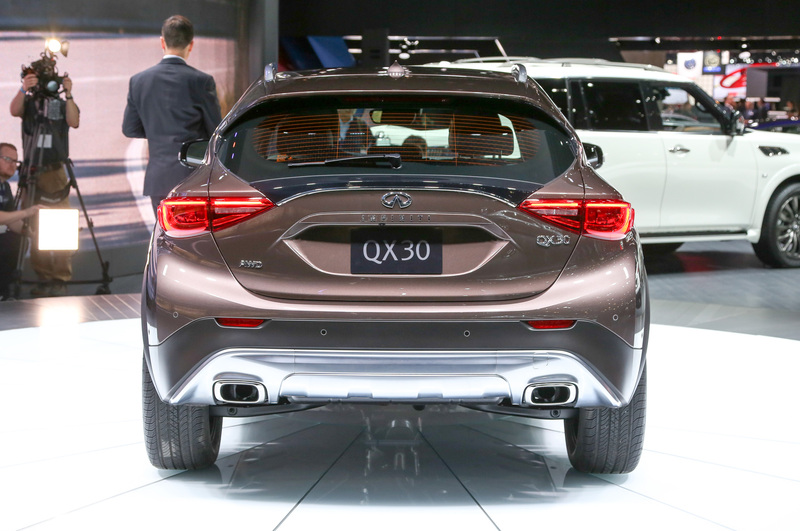 Infiniti's answer to the BMW X1 and Audi Q3. 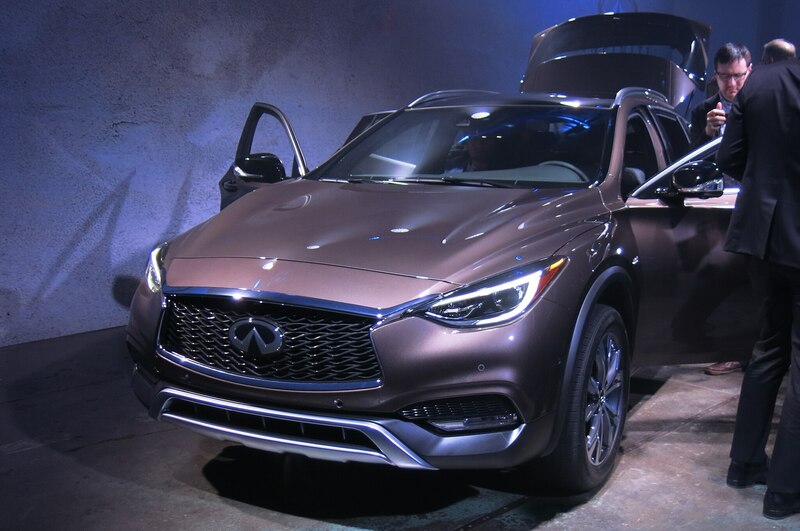 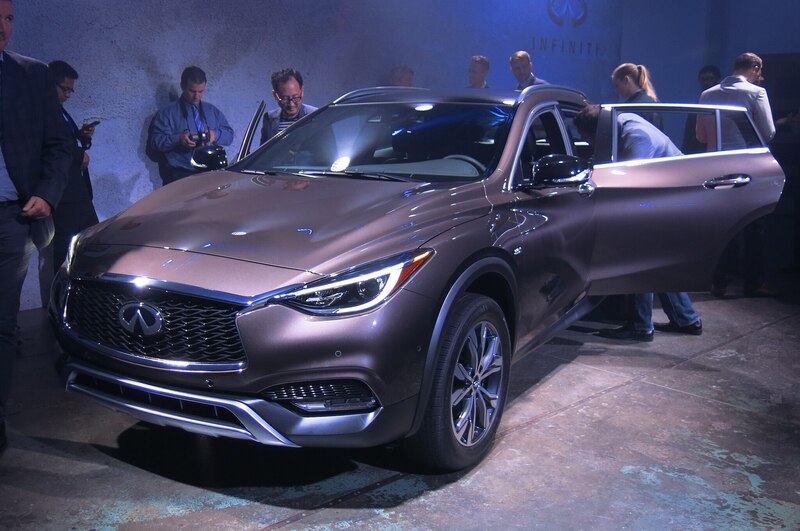 The 2017 Infiniti Q30 already spans the gap between the hatchback and crossover segments, but the QX30 will sit firmly in the luxury crossover class. 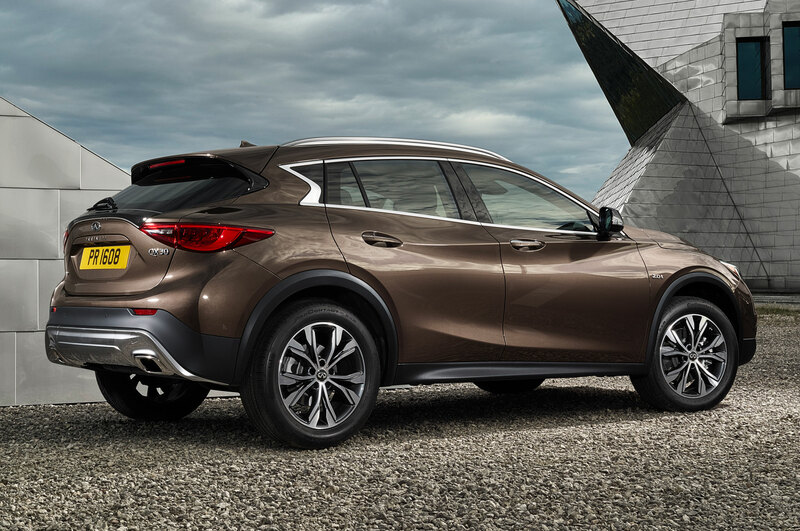 Debuting at the 2015 Los Angeles auto show, the 2017 Infiniti QX30 is a high-riding, all-wheel-drive version of Infiniti’s Q30 hatchback. 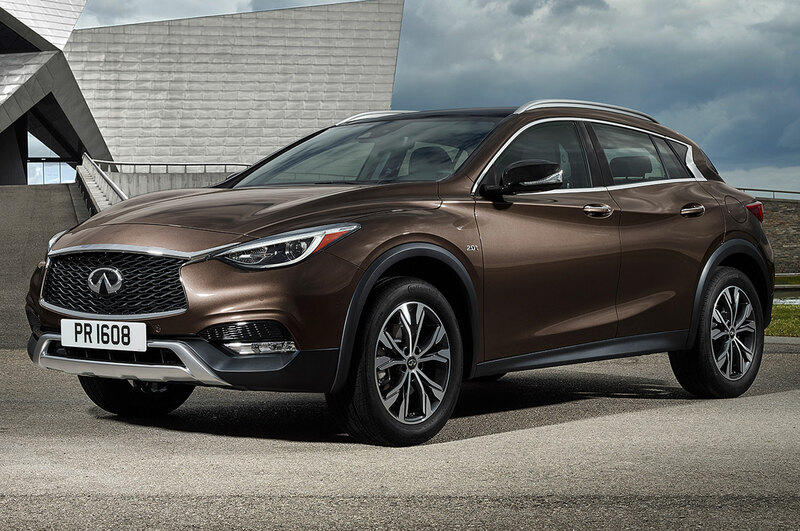 As with the Q30, the 2017 Infiniti QX30 is based on Mercedes’ MFA platform, which underpins cars like the CLA-Class sedan and GLA-Class crossover. 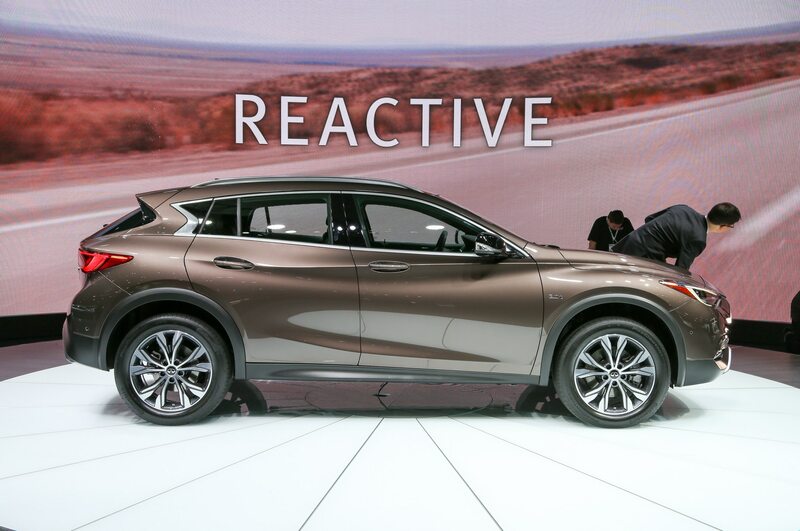 The Infinitis will, however, be built at Nissan’s factory in Sunderland, U.K. 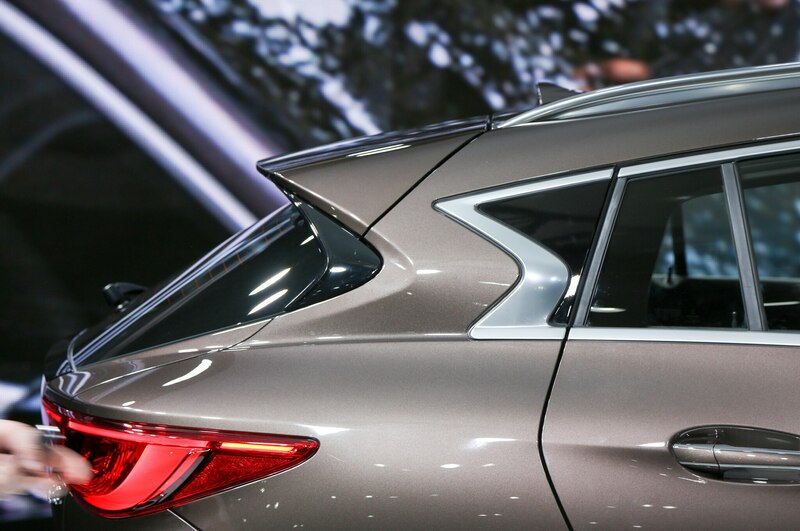 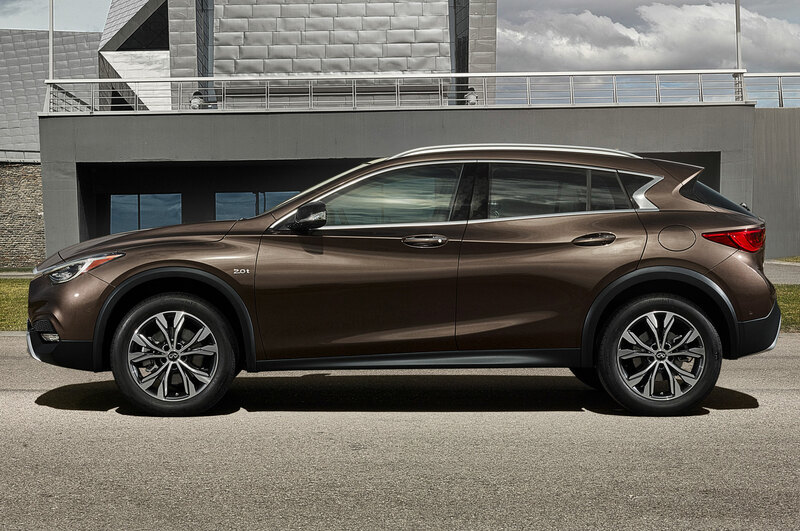 The production 2017 Infiniti QX30 carries over the swoopy styling seen on the concept version that debuted earlier this year in Geneva. 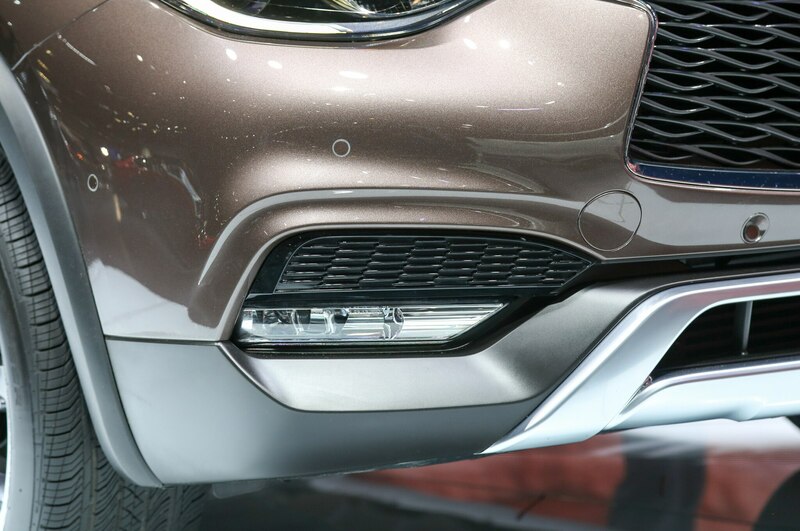 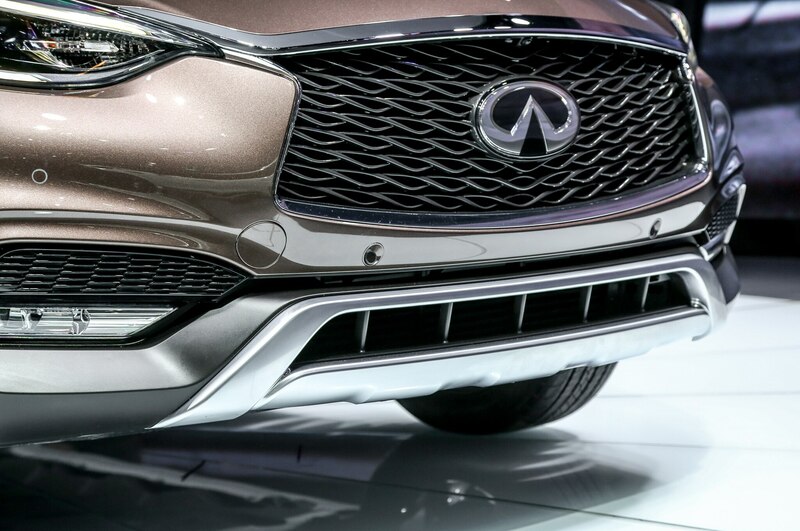 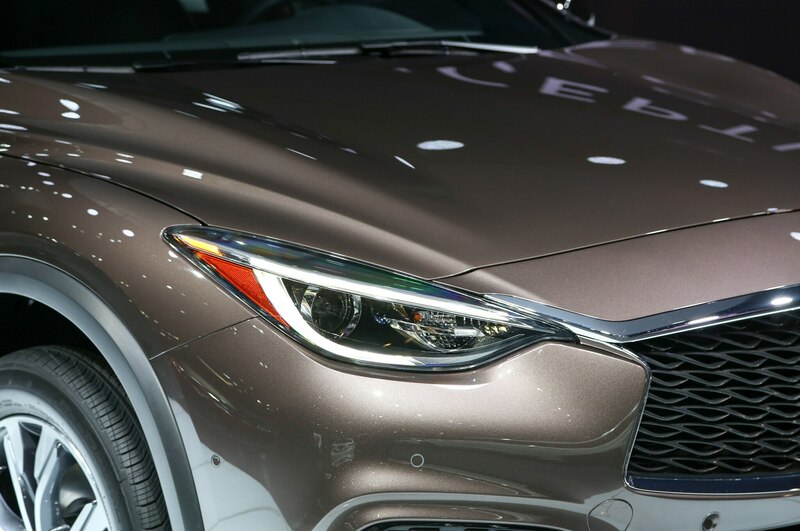 As on the Q30, Infiniti’s double-arch grille design is front-and-center, with a new chrome skidplate at the bottom of the front fascia to lend credence to the QX30’s claims of being “a premium active crossover for all purposes.” Black fender cladding, chrome roof rails, and a matching skidplate at the rear help further that claim. 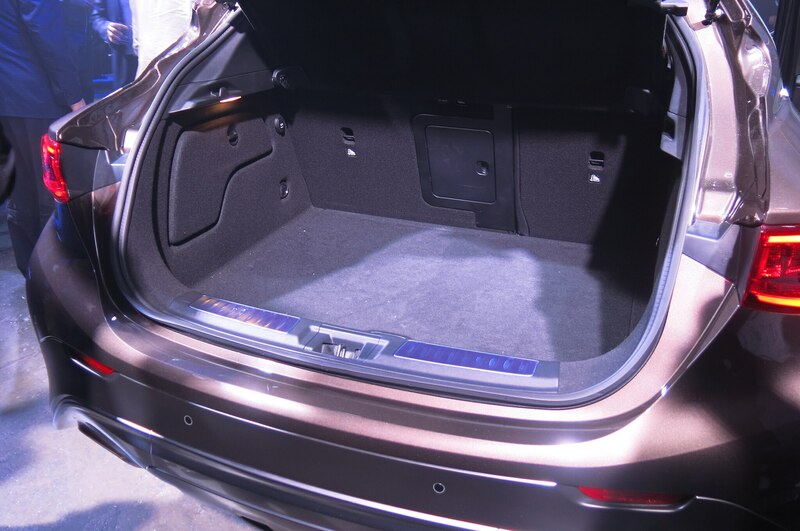 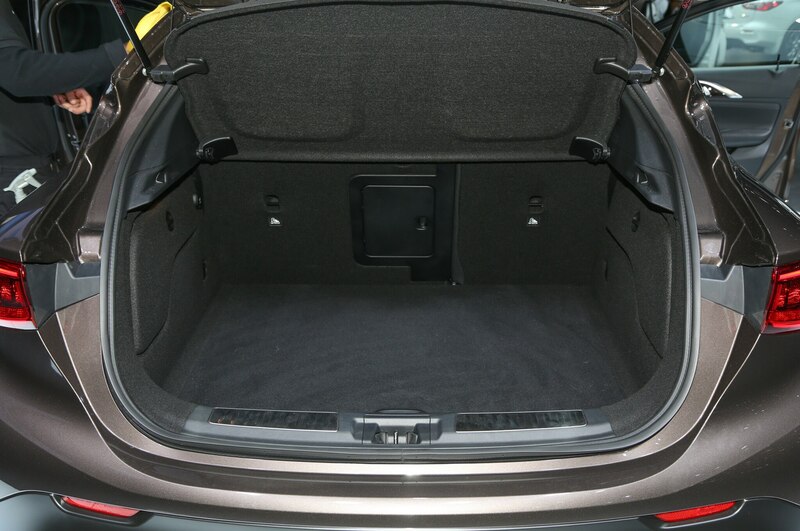 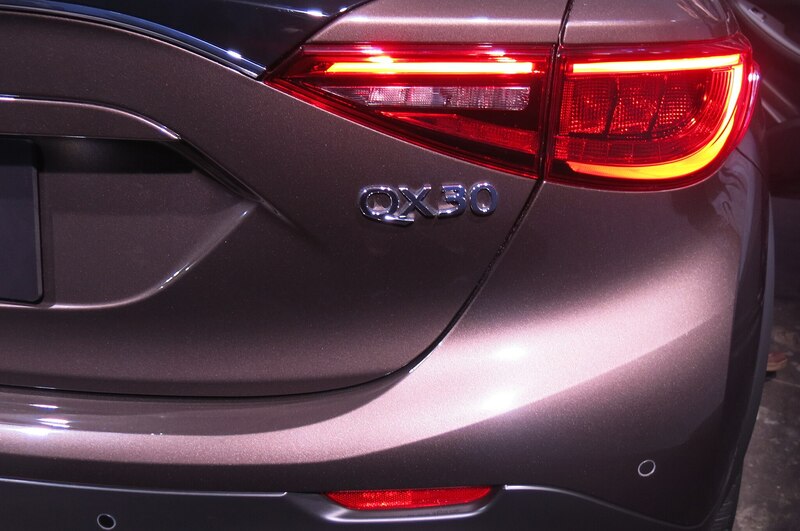 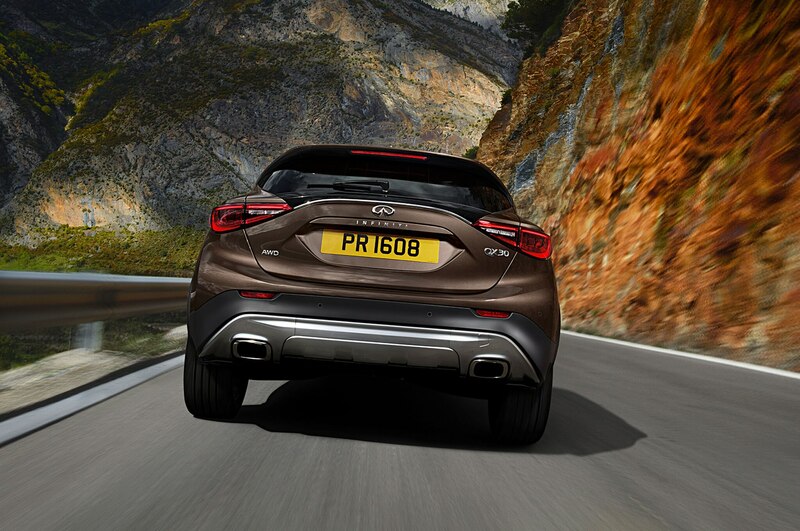 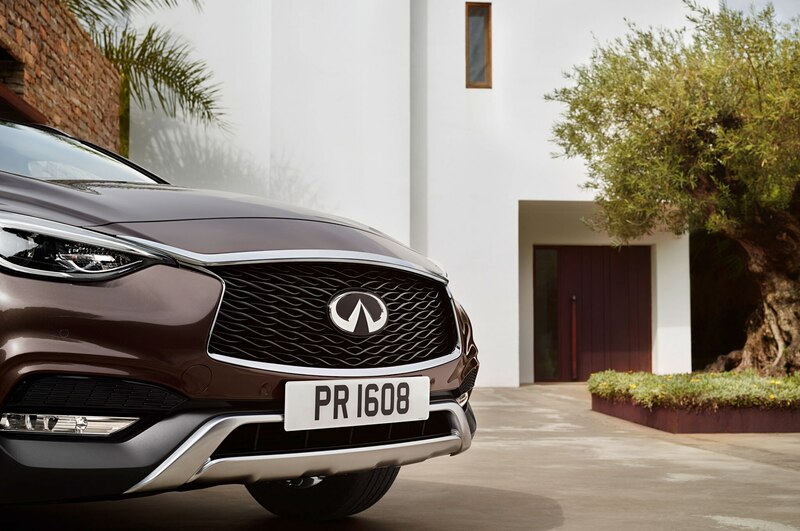 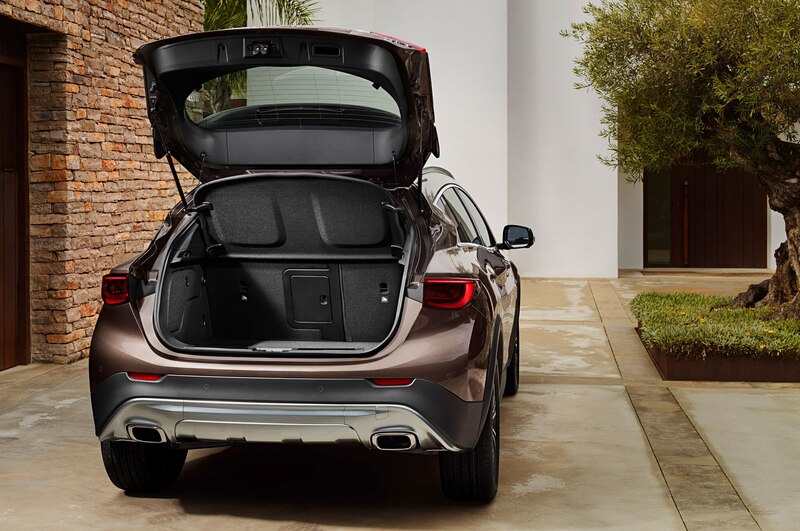 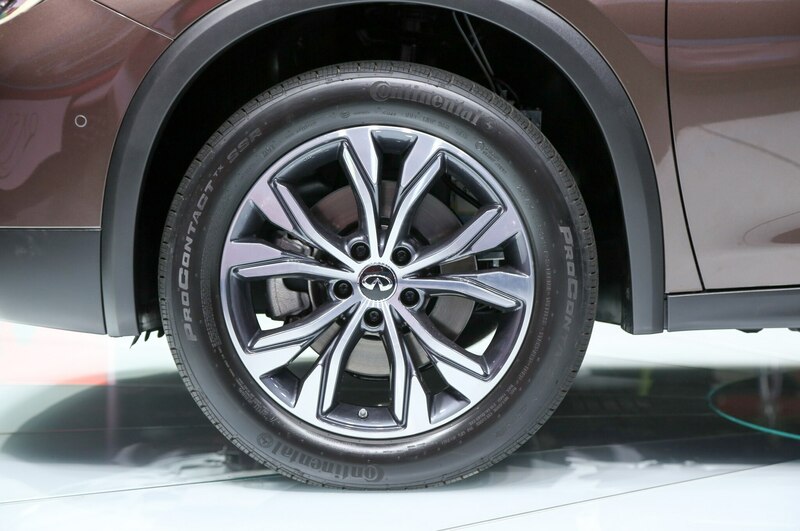 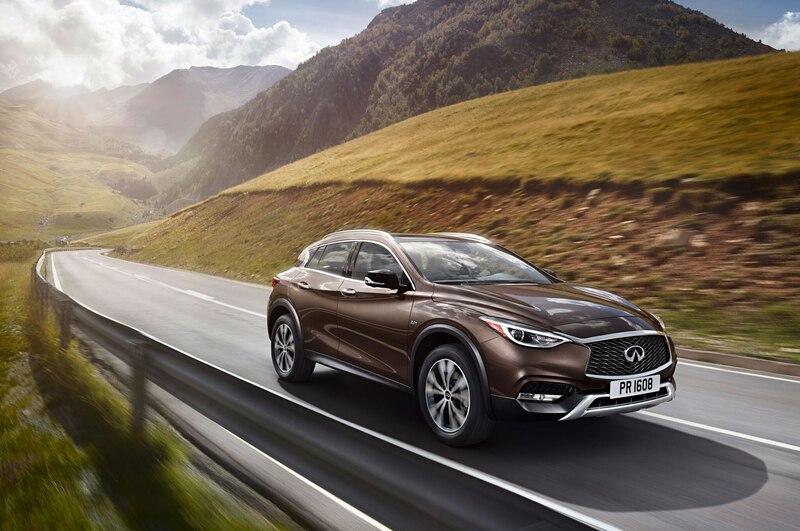 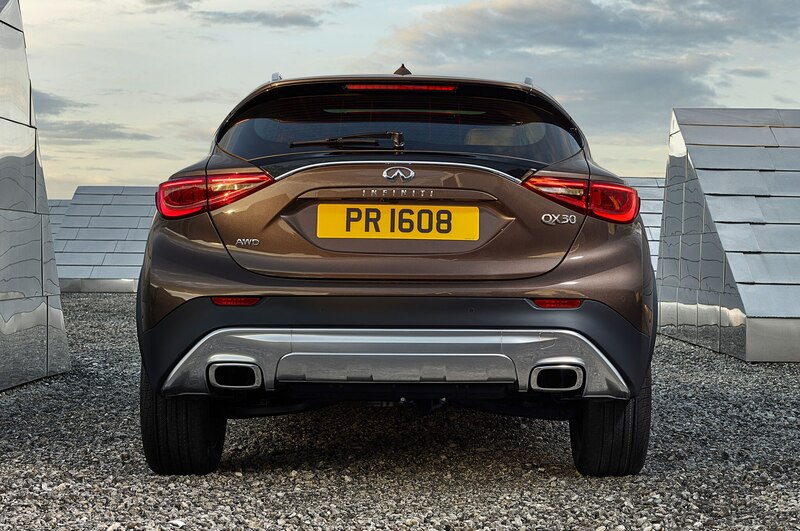 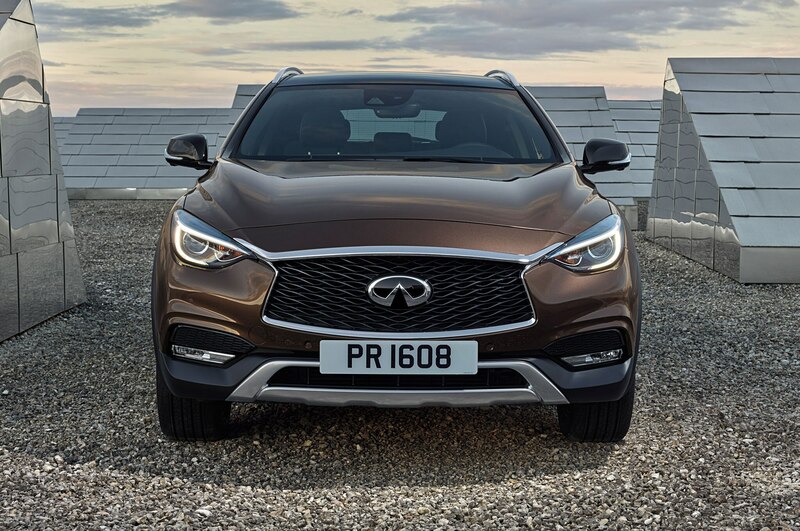 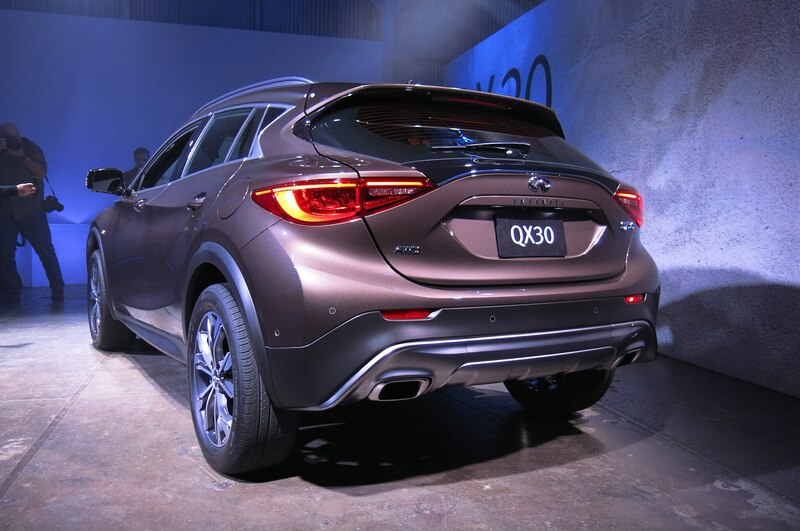 Thanks to its higher ride height, the QX30 measures 60.2 inches tall, an increase of more than two inches compared to the Q30. 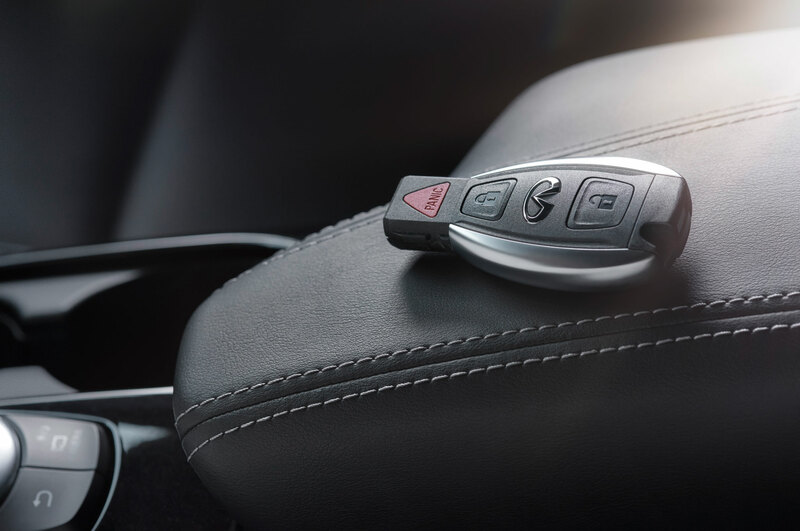 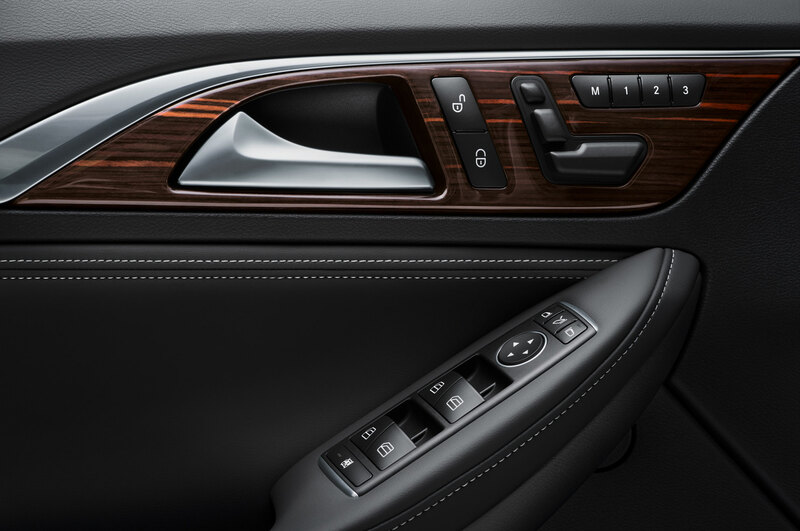 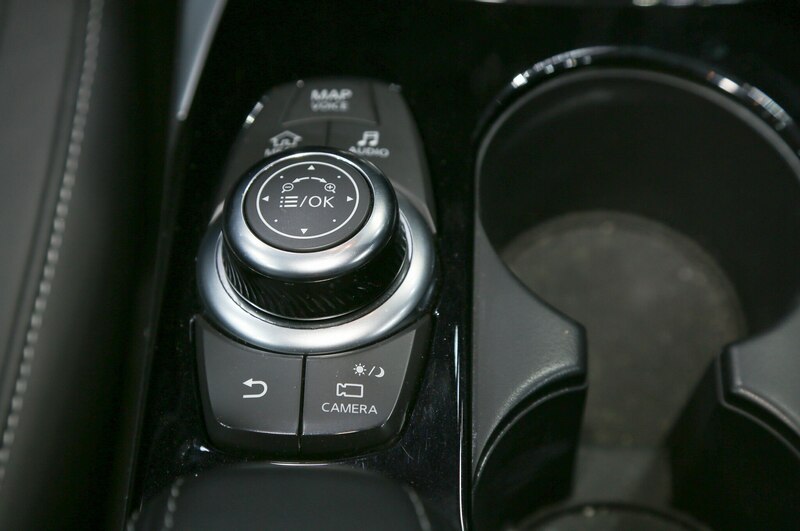 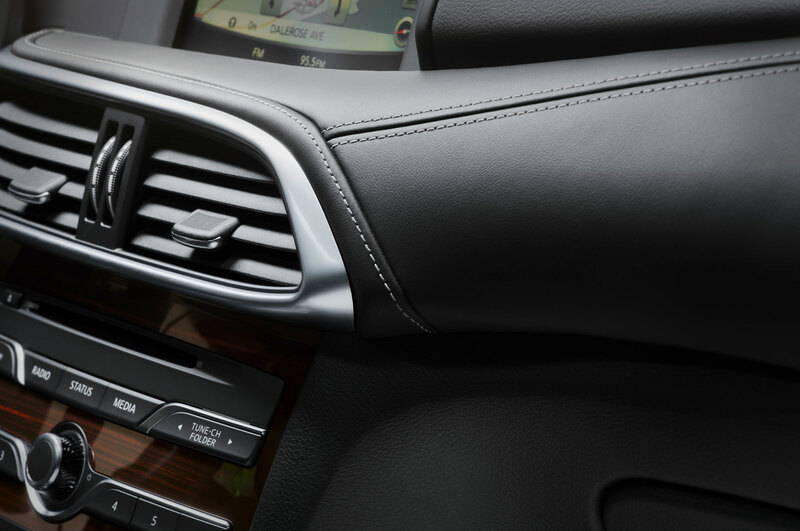 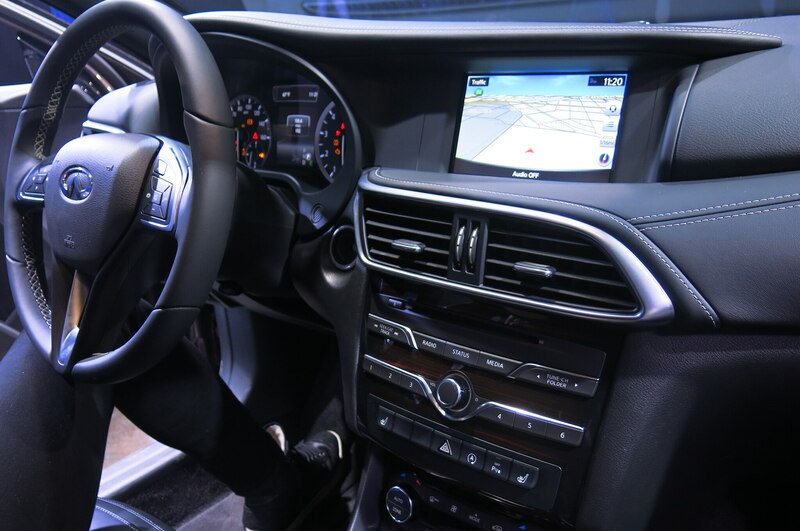 Inside, occupants enjoy technologies like touchscreen navigation, a 360-degree camera system, self-parking assist, and adaptive cruise control. 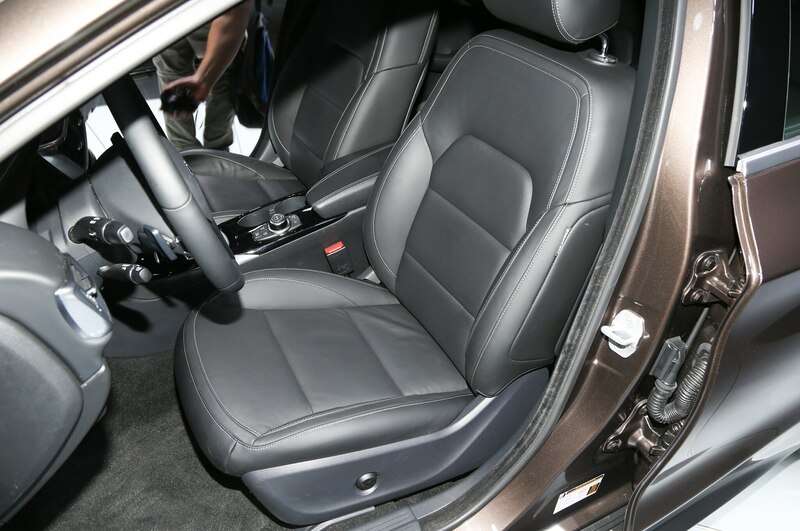 While black cloth upholstery is standard, Nappa leather in black or beige is on the options list. 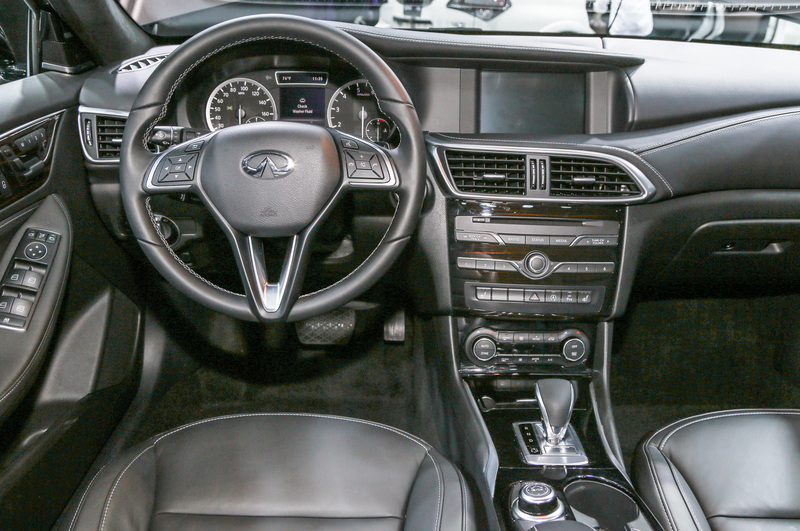 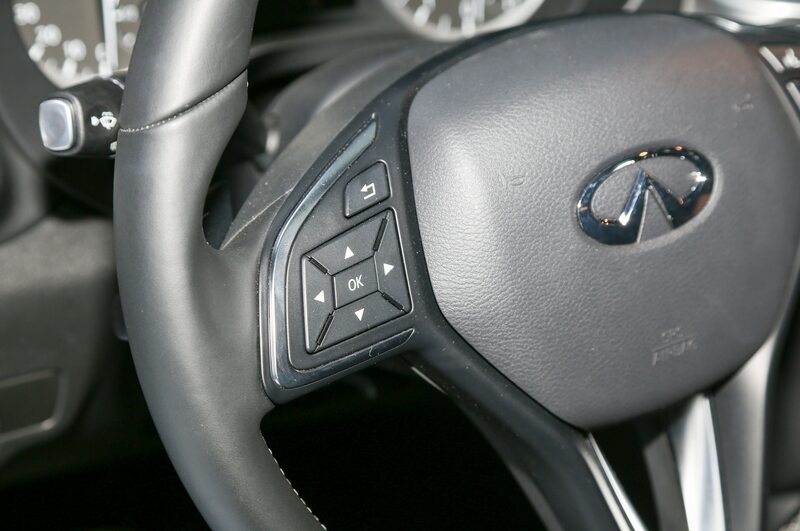 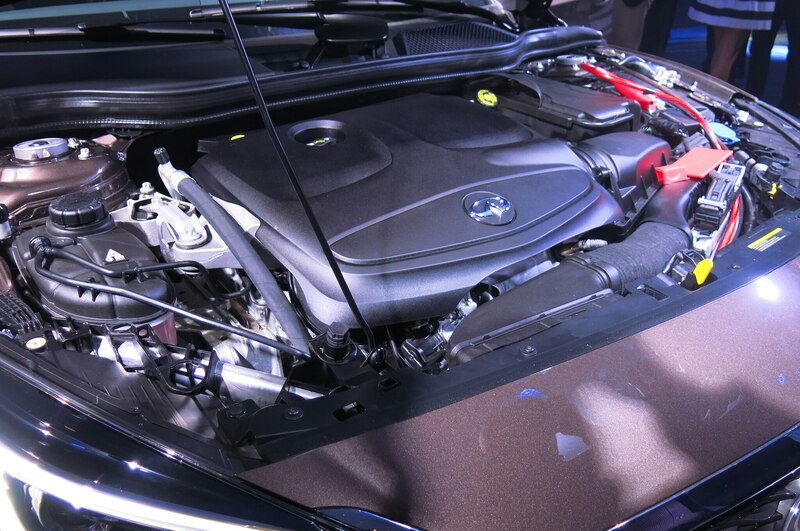 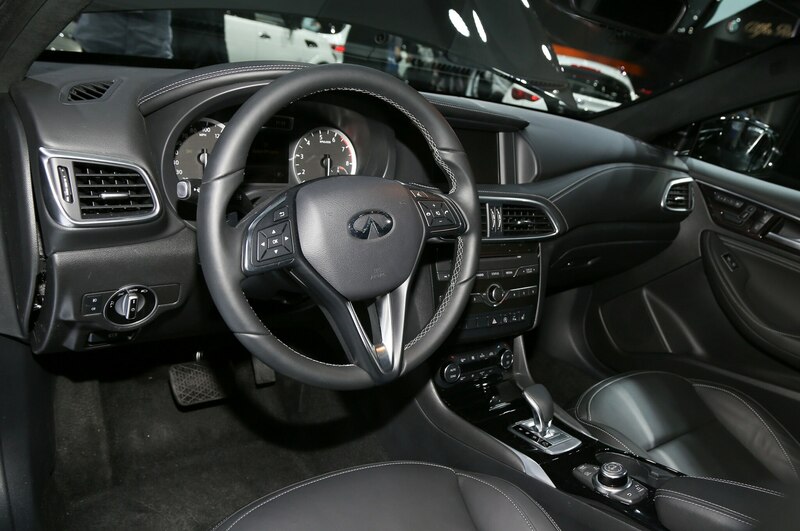 Infiniti claims the car’s interior is one of the quietest in its segment. 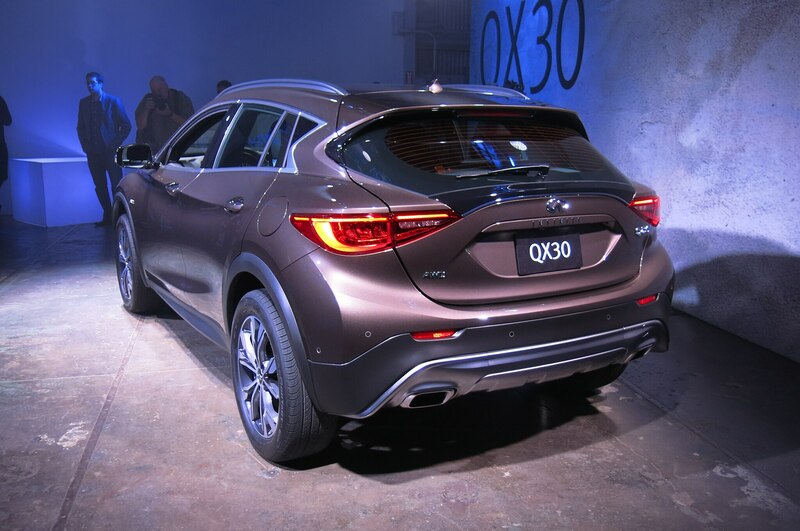 Further separating it from the Q30, the 2017 Infiniti QX30 comes standard with all-wheel drive, which is unavailable on the U.S.-spec Q30. 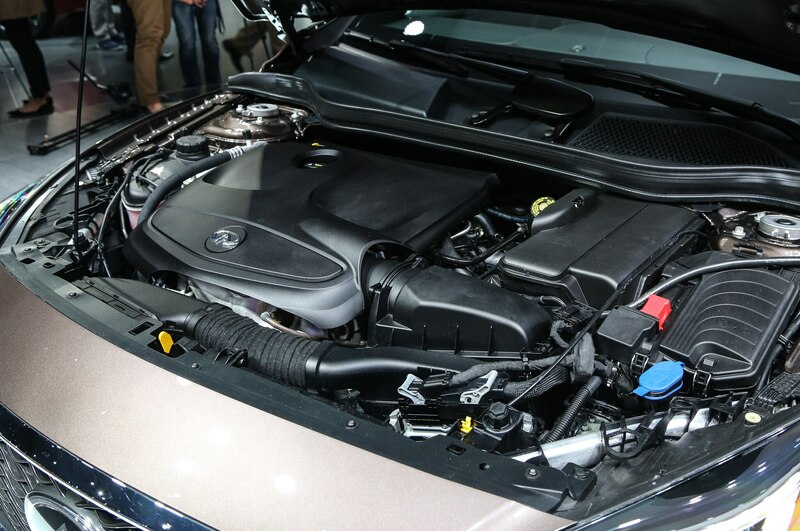 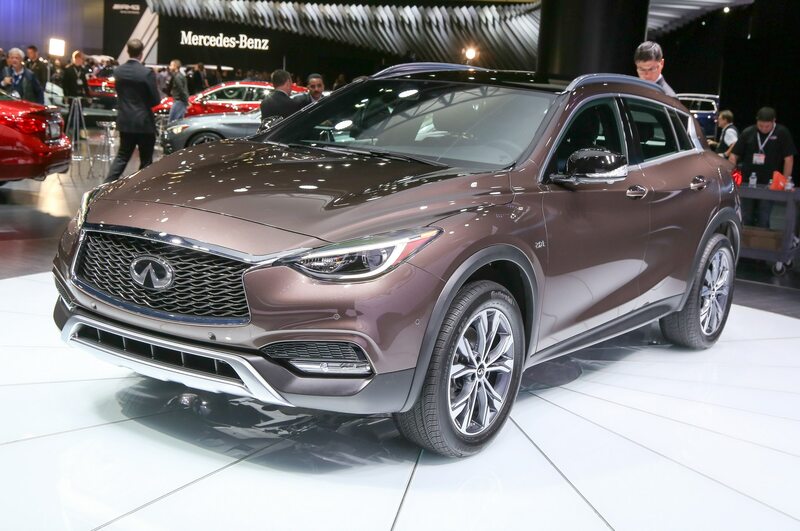 Although Infiniti hasn’t confirmed powertrains, the 208-hp, 2.0-liter turbo-four engine and seven-speed dual-clutch automatic from the Q30 will almost certainly be standard. 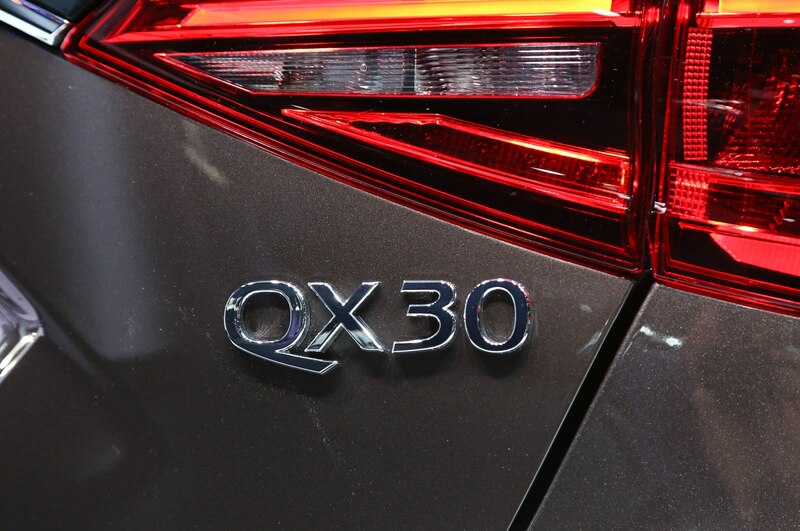 Despite the higher ride height, Infiniti says the use of upgraded suspension springs and anti-roll bars keep the QX30’s handling taut and sporty. 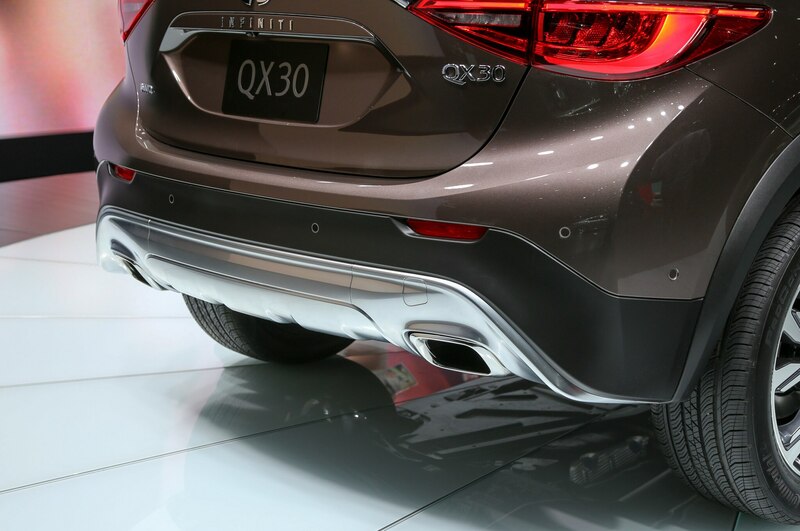 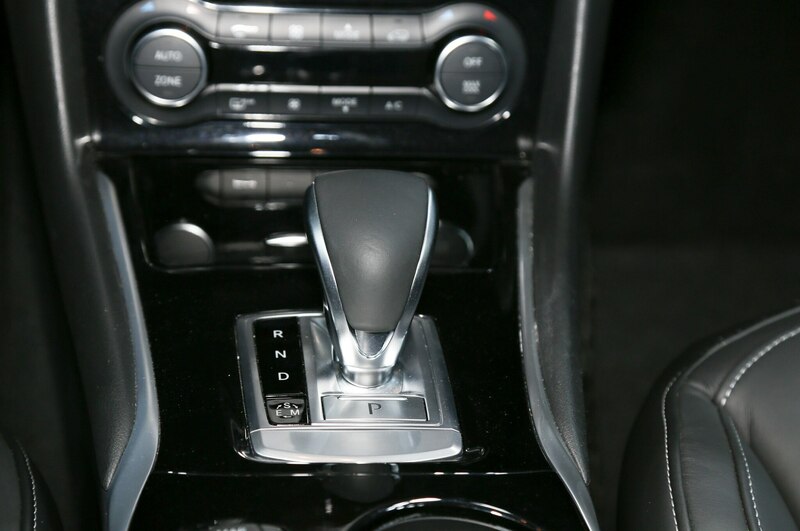 The AWD system can shuffle up to 50 percent of the engine’s torque to the rear wheels. 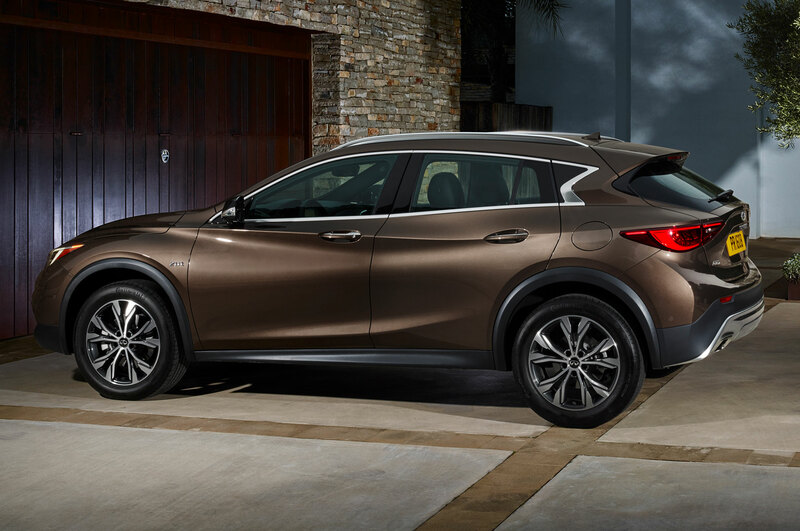 With its more traditional SUV ride height and AWD, the 2017 Infiniti QX30 is likely to be a big hit in the U.S. 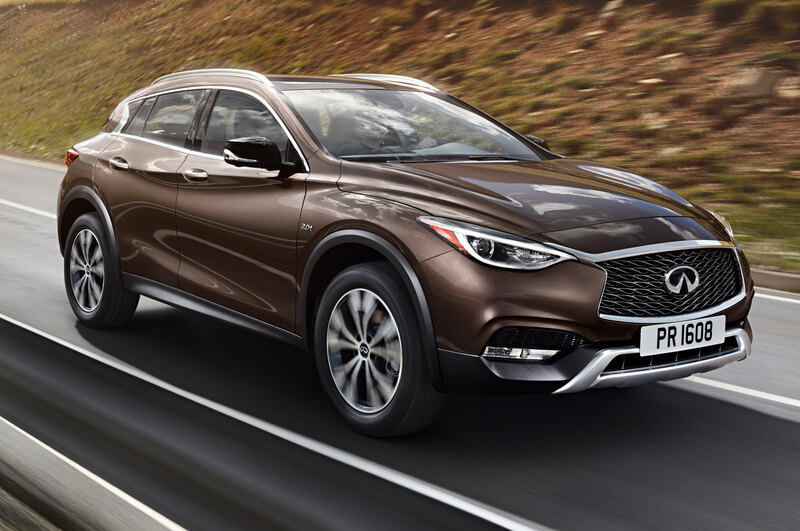 It gives buyers a smaller and more affordable entry point into the Infiniti QX crossover range below the QX50, and should compete head-on with German entries like the BMW X1 and Audi Q3, along with the Mercedes-Benz GLA with which it shares its platform. 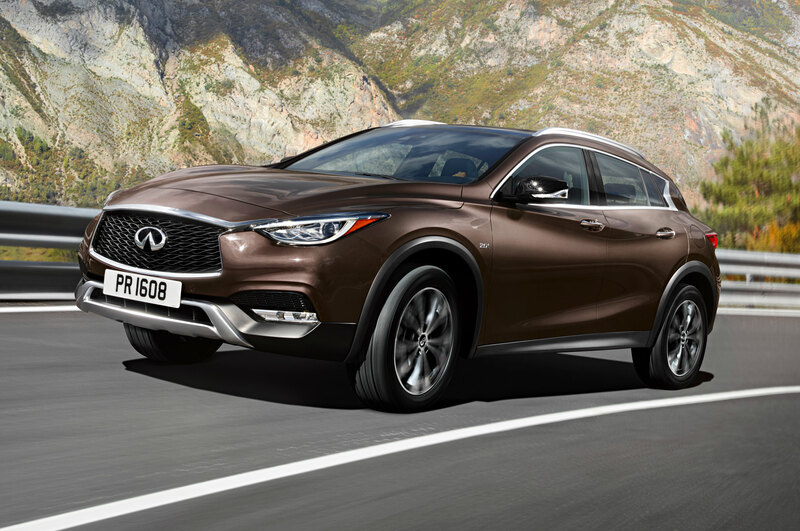 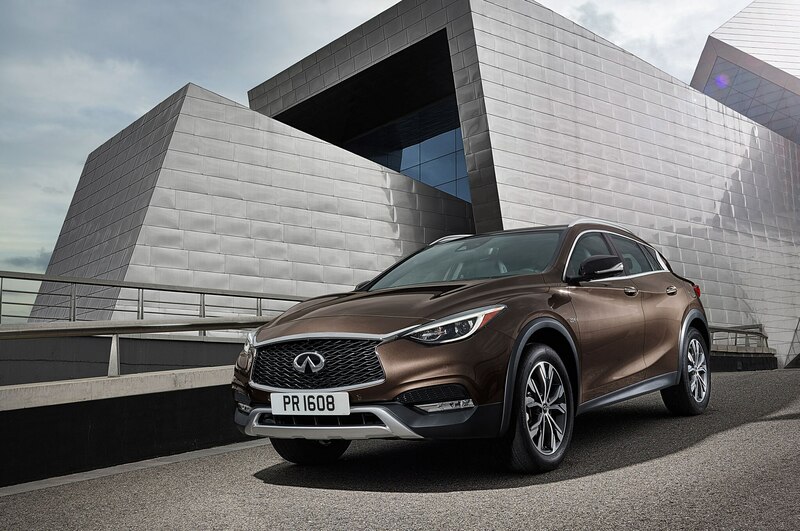 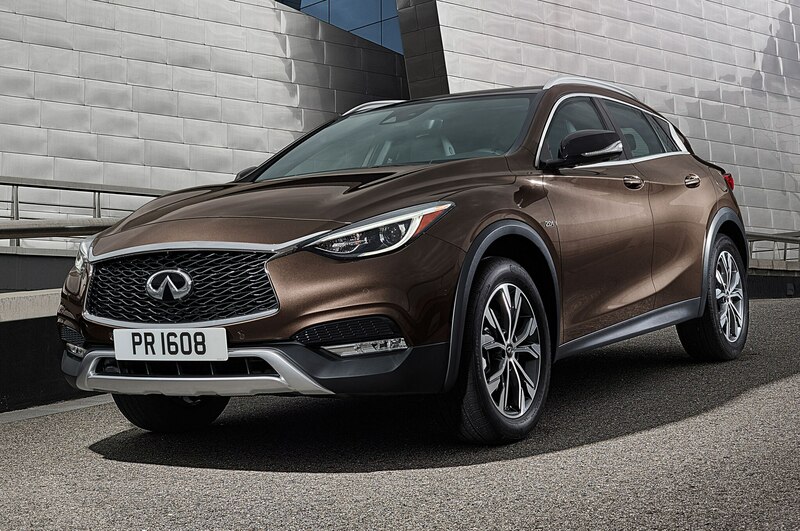 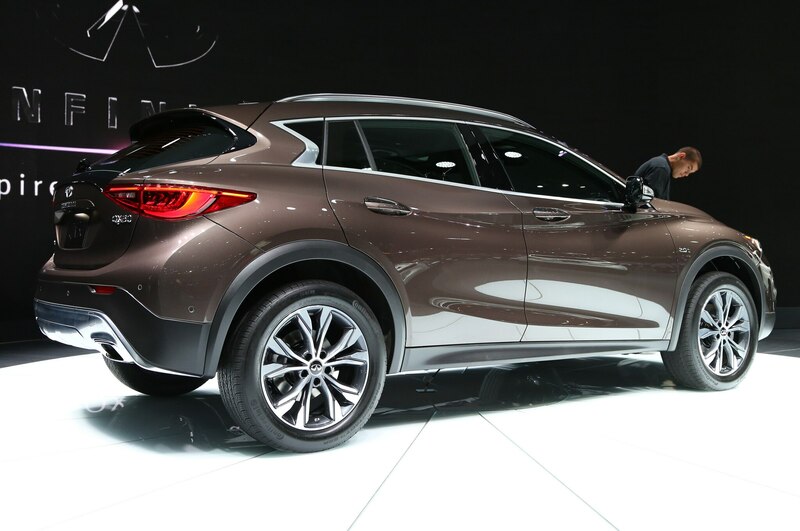 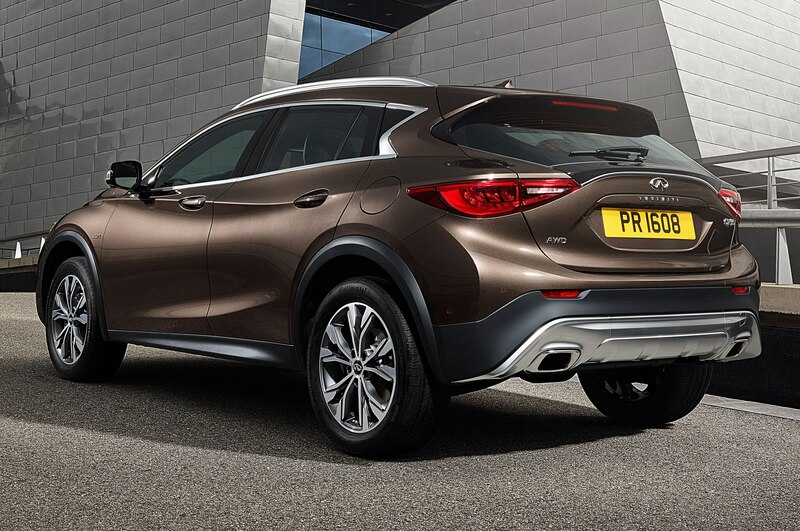 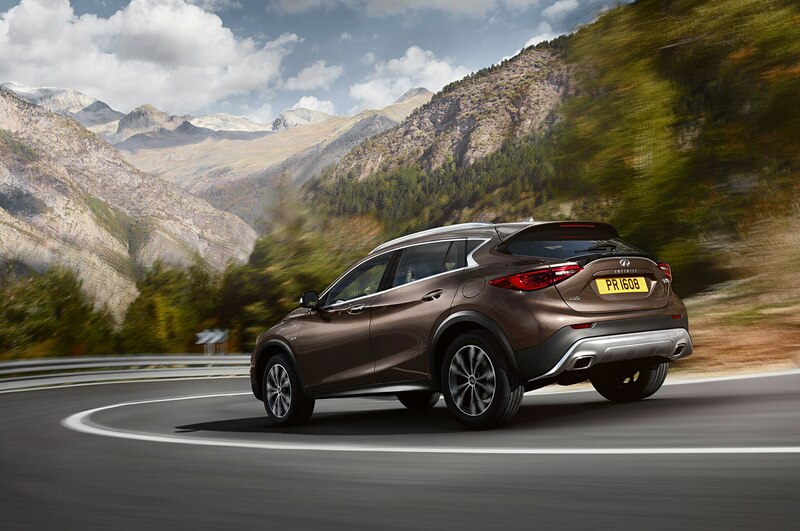 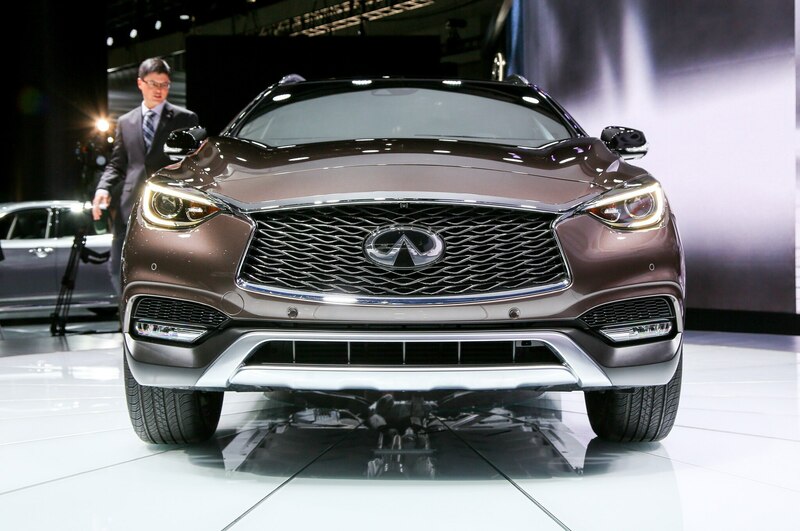 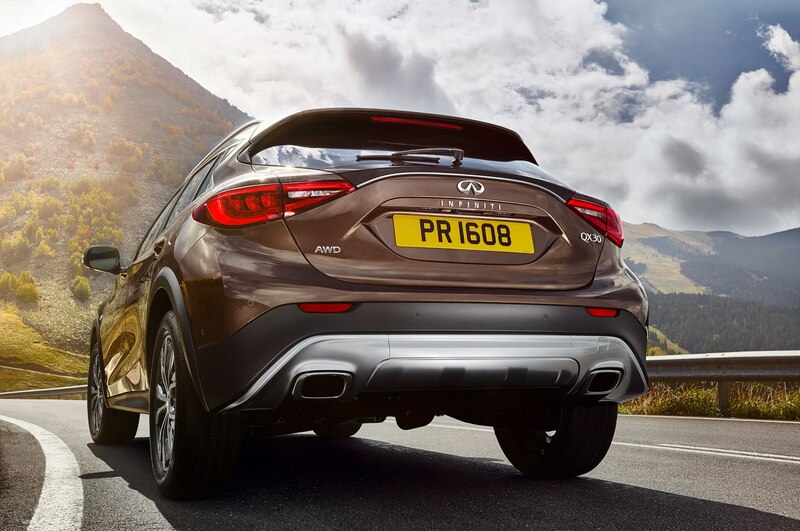 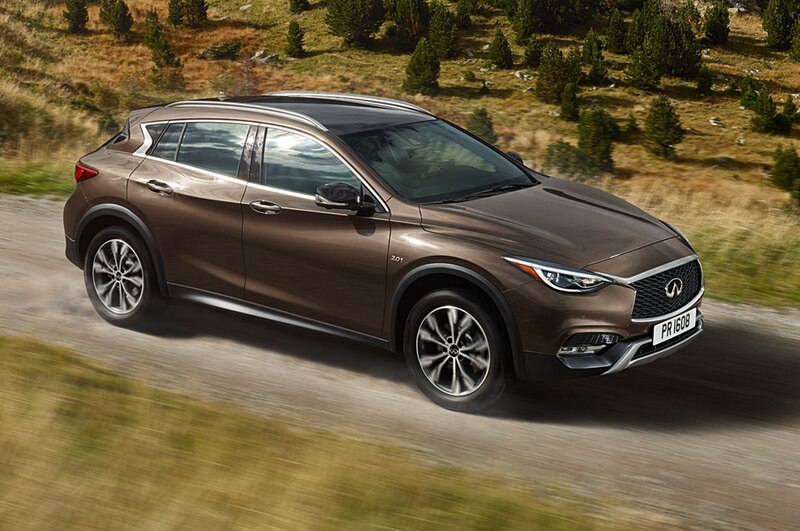 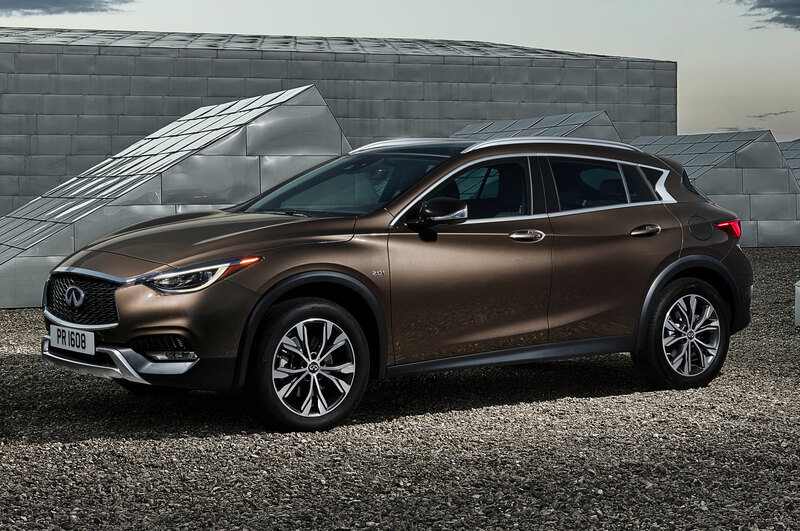 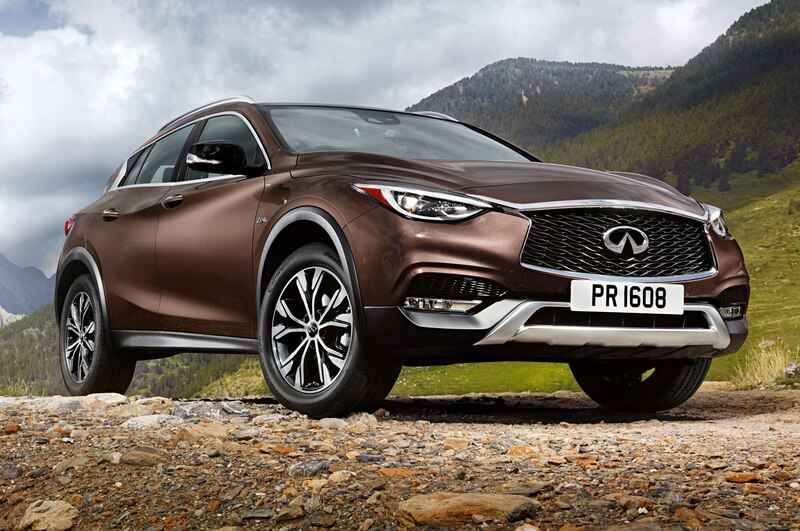 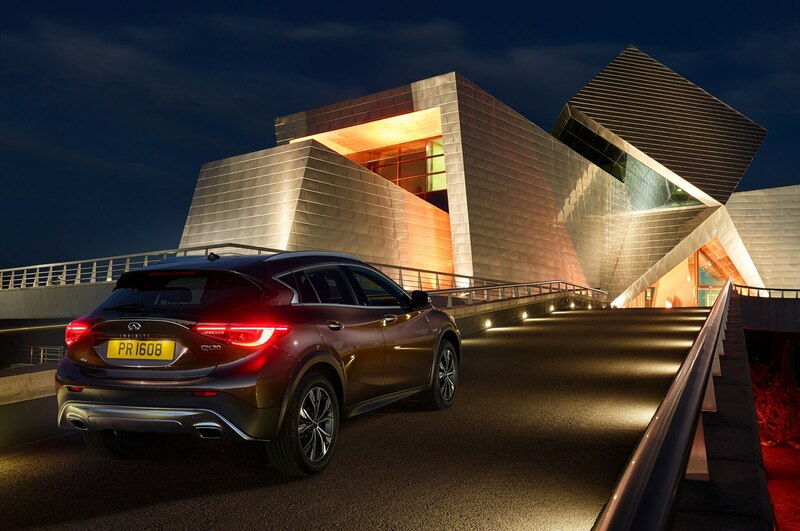 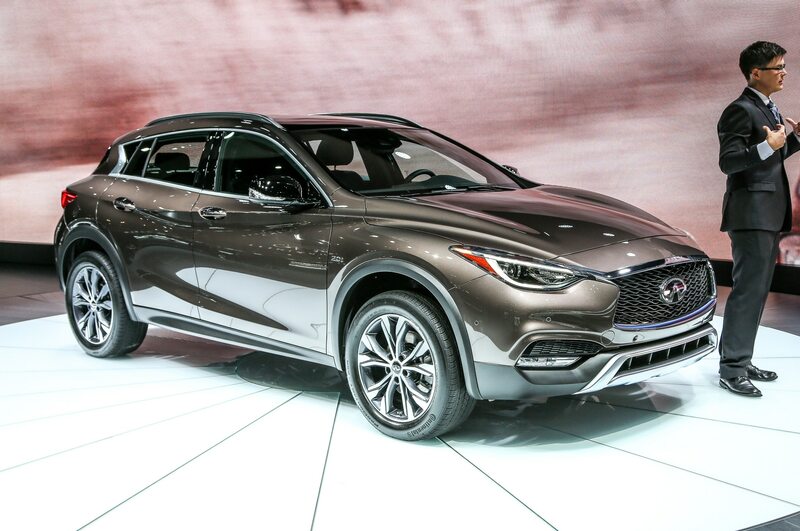 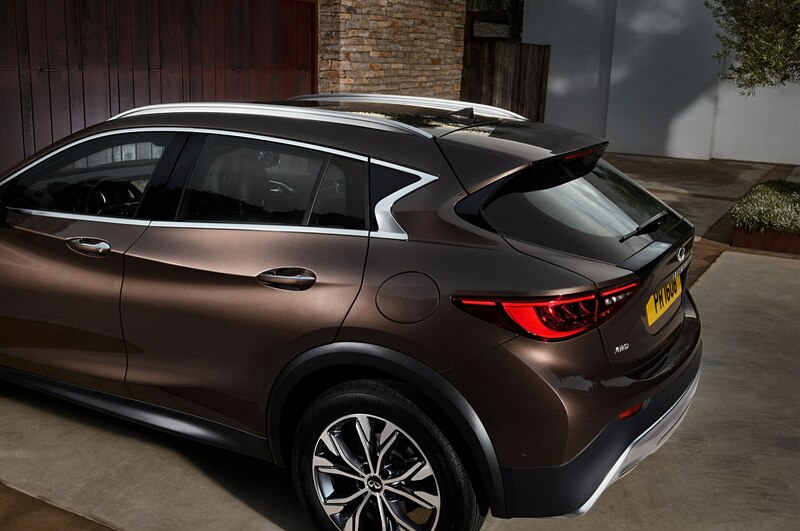 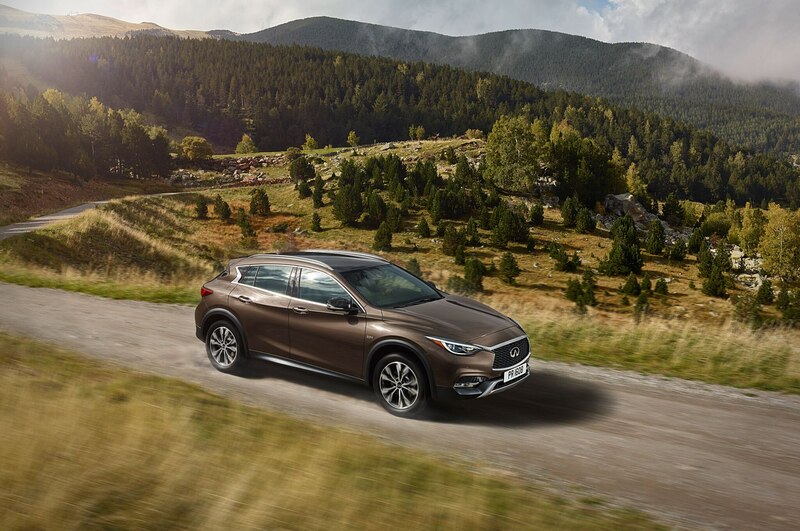 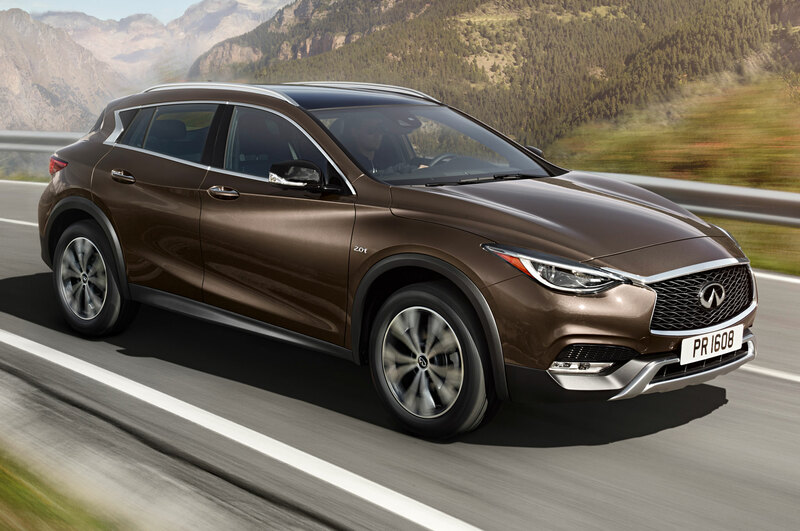 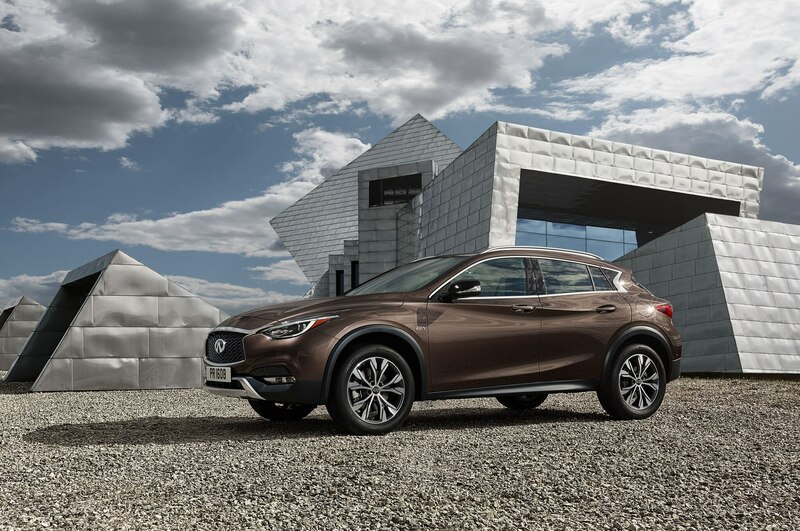 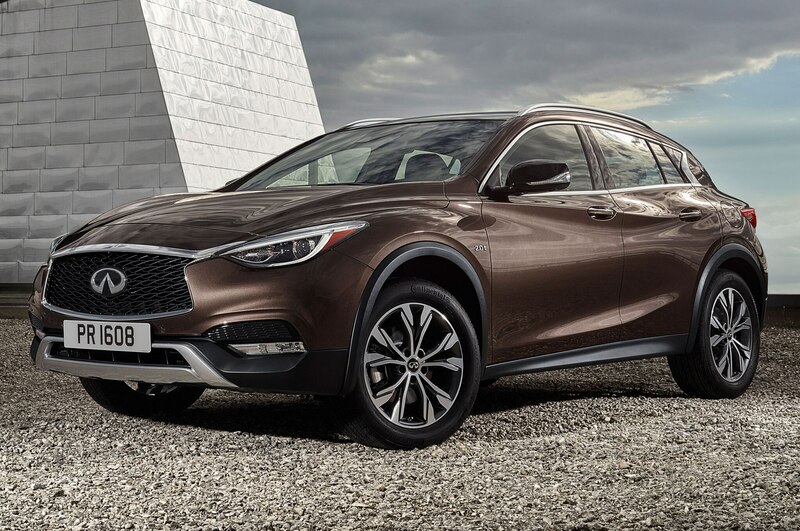 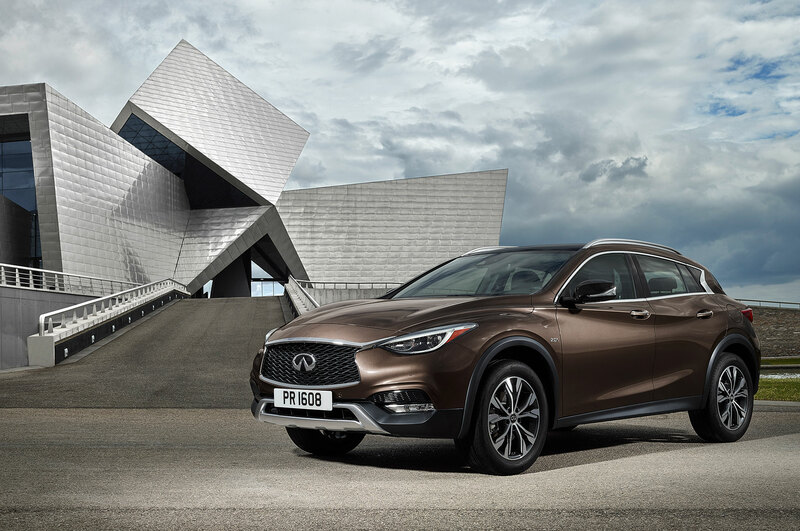 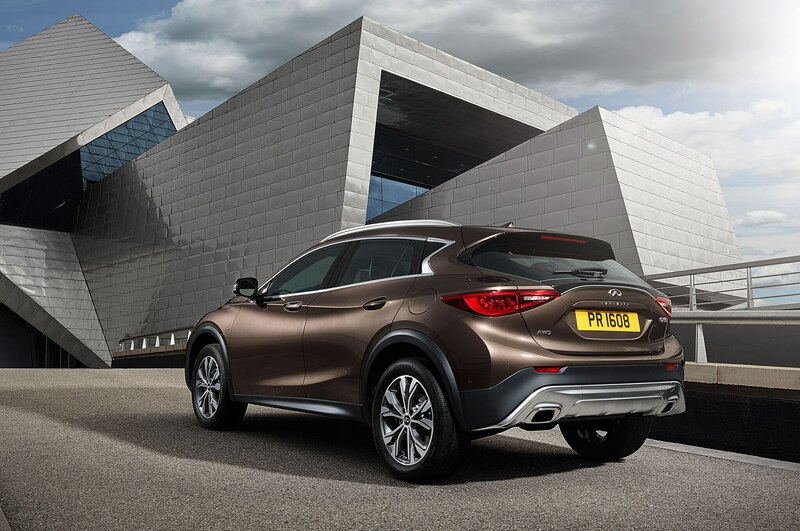 The 2017 Infiniti QX30 goes on sale worldwide in the middle of 2016.